Preheat the oven to 375 degrees F. Adjust the oven rack to accommodate your Dutch oven or similar pot. Whisk the pineapple juice, corn syrup, brown sugar, mustard, vinegar, red pepper, and some salt and pepper together in a medium bowl. Place the flour in a shallow bowl. Season the chicken pieces with salt and pepper, then lightly coat them in the flour. Meanwhile, heat the oil in the Dutch oven over medium heat until shimmering. 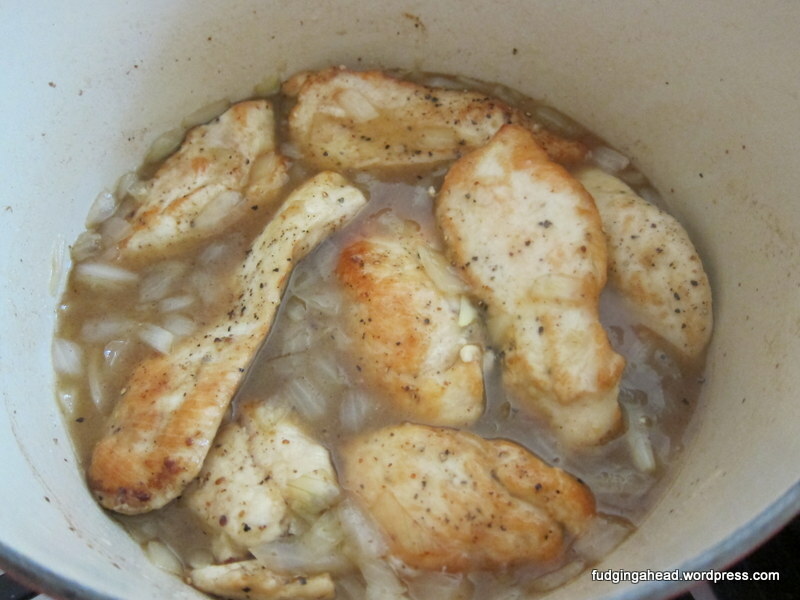 Brown the chicken breasts on both sides in batches. 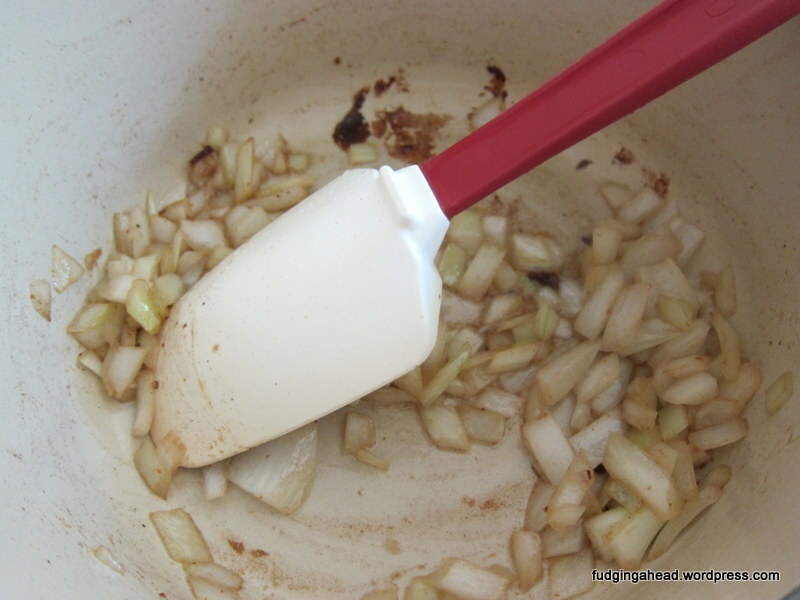 Wipe out the pot if necessary, but make sure there is a bit of oil in the pot to saute the onion. Cook the onion until softened, a few minutes. Then, add the pineapple juice mixture, bringing to a simmer. Allow it to simmer, stirring occasionally, until the liquid reduces to a glaze. You should be able to take a (heatproof) spatula and drag it through the glaze, leaving a slight trail. Add the chicken back into the pot, stirring to coat the pieces. Bake in the oven until the chicken is cooked through (about 15-20 minutes). Remove the chicken from the pot, and cover it to keep it warm. Return the pot to medium heat on the stove and reduce the glaze further. Add the extra pineapple juice at this time. 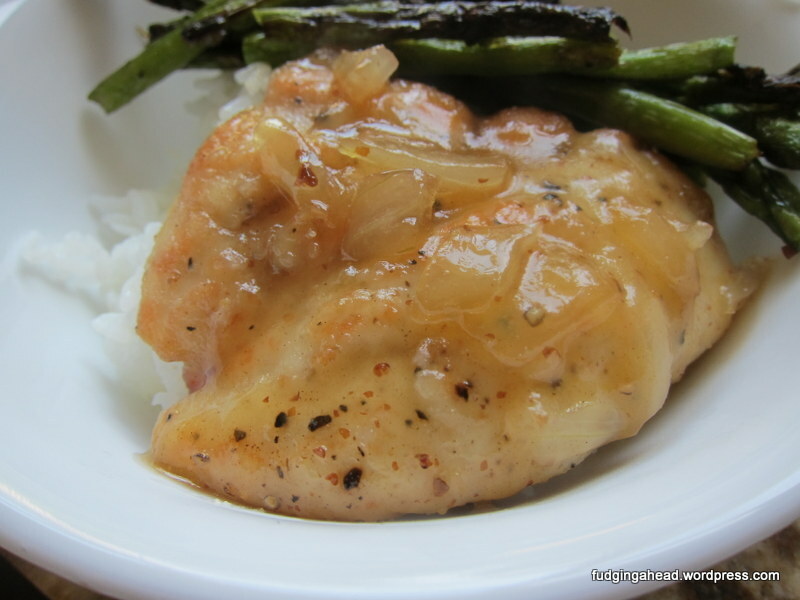 Serve the glaze over the chicken. Preheat the oven to 375 degrees F. Adjust the oven rack to accommodate your Dutch oven or similar pot. Whisk the pineapple juice, corn syrup, brown sugar, mustard, vinegar, red pepper, and some salt and pepper together in a medium bowl. Place the flour in a shallow bowl. 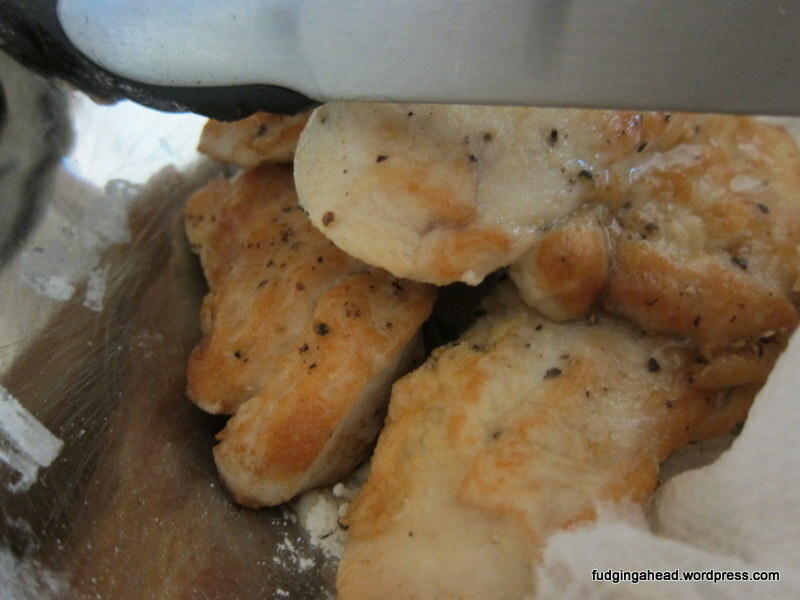 Season the chicken pieces with salt and pepper, then lightly coat them in the flour. Meanwhile, heat the oil in the Dutch oven over medium heat until shimmering. 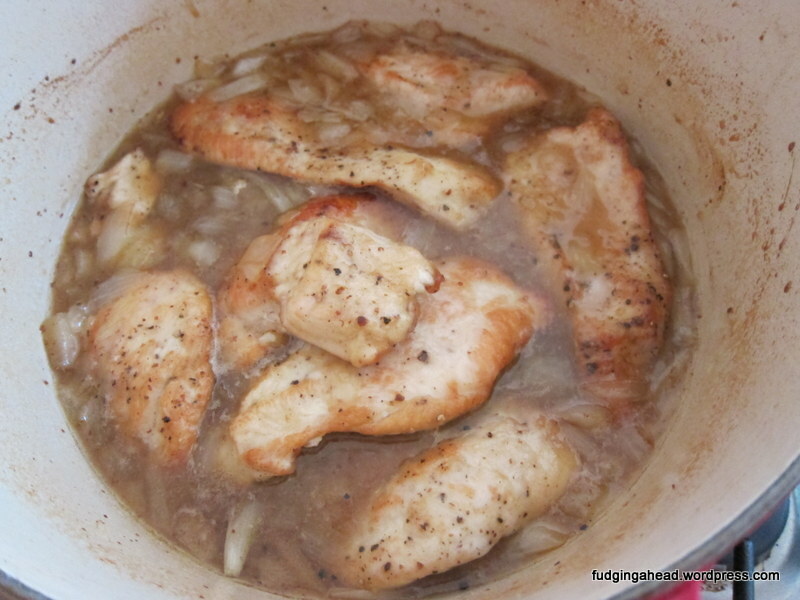 Brown the chicken breasts on both sides in batches. 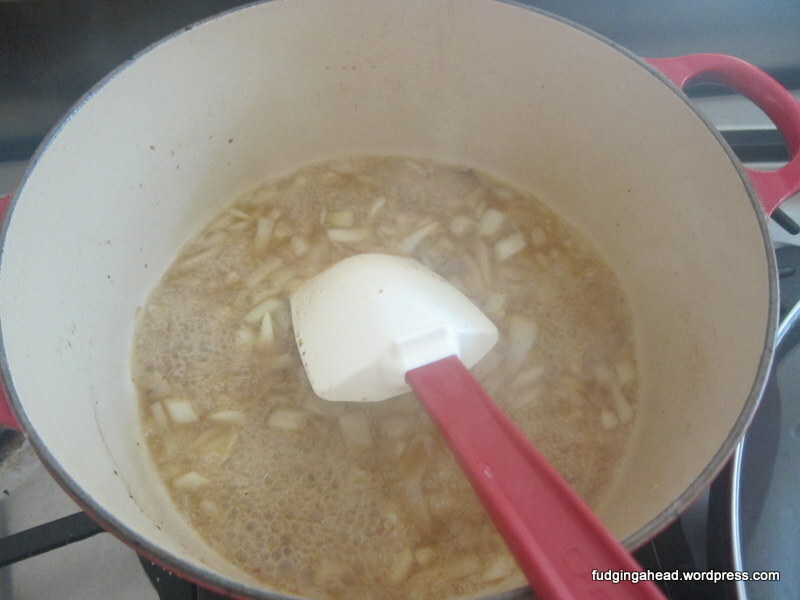 Wipe out the pot if necessary, but make sure there is a bit of oil in the pot to saute the onion. Cook the onion until softened, a few minutes. Then, add the pineapple juice mixture, bringing to a simmer. Allow it to simmer, stirring occasionally, until the liquid reduces to a glaze. You should be able to take a (heatproof) spatula and drag it through the glaze, leaving a slight trail. Add the chicken back into the pot, stirring to coat the pieces. Bake in the oven until the chicken is cooked through (about 15-20 minutes). Remove the chicken from the pot, and cover it to keep it warm. Return the pot to medium heat on the stove and reduce the glaze further. Add the extra pineapple juice at this time. 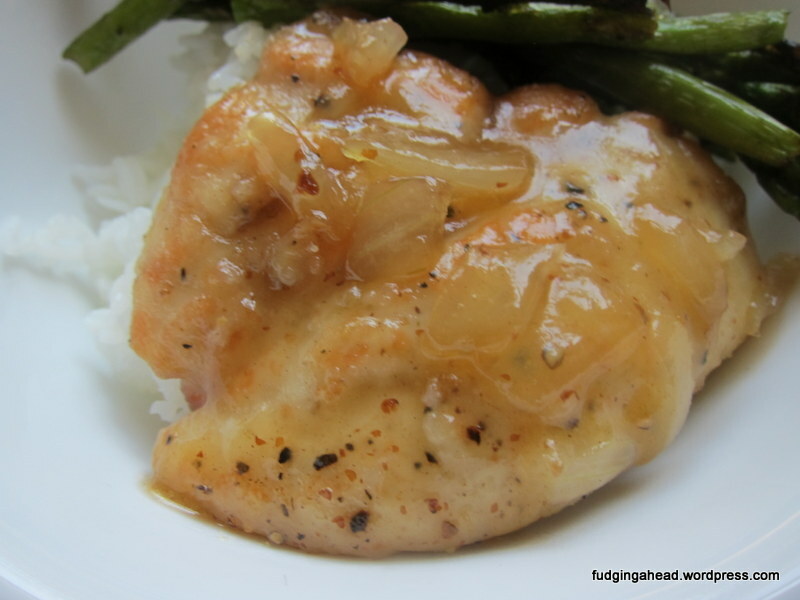 Serve the glaze over the chicken. 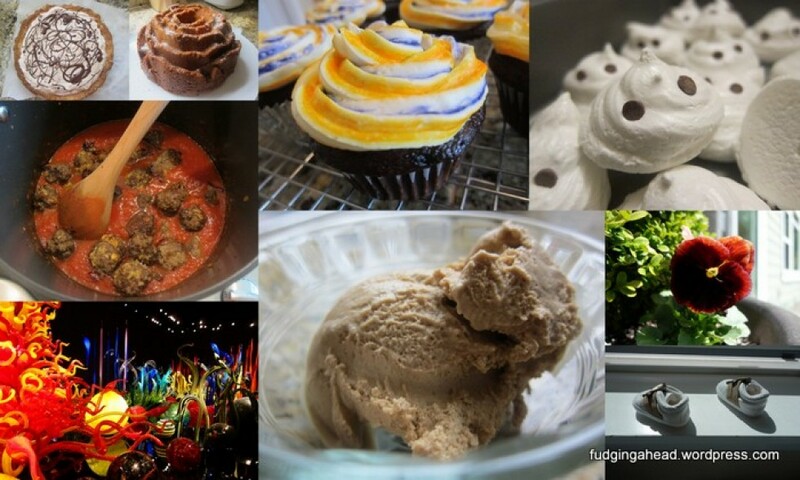 I love everything with pineapple!